Global supply chain leaders in every industry are embracing digital practices that are setting new standards--and leaving companies with traditional supply chains in the dust. This new digital supply chain is opening a world of opportunities for a range of businesses with increased visibility and control, allowing them to be more flexible, responsive and efficient than ever before. It is made possible by a network of new technologies collectively called the Internet of Things (IoT), which is supported by low cost, intelligent and connected sensors and increasingly sophisticated tools to process big data and analytics. Most significantly, this trend affects every industry--from manufacturers and distributors to retailers and service providers--and transforms the companies that embrace it. Consumer products giant Unilever, for example, is using IoT to improve end-to-end visibility and support centralized logistics control to drive growth and efficiency. Unilever is counting on a more centralized structure, enabled by increased visibility, as a key to achieving a corporate goal to double the business. The company's accomplishments have been recognized by its third place ranking on Gartner's "Top 25 Supply Chains for 2015." Fourth on Gartner's list, tech giant Intel is also relying on its supply chain to drive profitability, in this case by enabling growth in new product markets. Recently, that has meant leveraging IoT to drive its competitive advantage in the marketplace by increasing responsiveness and agility. My industry, aviation, also faces supply chain challenges. According to PwC's global 2013 "Advancing Aviation" maintenance, repair and overhaul (MRO) benchmarking study, 50 percent-60 percent of maintenance costs are driven by supply chain. "Part-related delays can cost a mid-size to large airline $15 million-$16 million annually. Best-in-class performers enjoy a 40 percent lower total supply chain cost... automation and process maturity play an important role," notes PwC. That makes the digital supply chain, which can enable inventory cost savings, faster maintenance repairs and reduced AOG (aircraft on ground) time, critically important in the aviation industry. Industry leaders are counting on increased visibility to instantly locate and dispatch needed parts, reducing delays while making optimum use of resources that are strategically positioned based on big data analytics. And it's the big data in aviation that's helping to drive these improvements. Today's aircraft are loaded with sensors that allow them to generate significant real-time data, resulting in much-improved maintenance efficiencies. New-generation aircraft have essentially become "flying data networks," producing extensive and incredibly valuable streams of performance data. In fact, the Boeing 787 transmits 28 times more data inflight than the 777. Connect and integrate this and other data collected throughout the supply chain with processes, people, assets and knowledge, and today's aviation digital supply chain is ready to provide what the aircraft need, where and when they need it, while making the most efficient use of the resources in the support network. Such a massive amount of data would seem to be an increasing problem for support and logistics providers. But increasingly sophisticated analytical tools leverage airline big data to better understand performance and wear characteristics and better predict when, where and what parts airplanes may need. Big data and the advanced analytics they have spawned are turning that challenge into opportunity. And pooling the huge sea of sensor data from operational aircraft and logistics information creates a truly comprehensive infrastructure that will drive predictive maintenance with ultimately support the digital supply chain structure of the future. Few passengers actually understand the financial impact of airline delays and cancellations; GE estimates it is $45 million a day. To reduce these costs and drive better results, it is critical to properly position and deploy the specialized and expensive parts required in aviation. Gleaning information from the digital supply chain to predict the best location to store such parts, and quickly move them to where they are needed, is the essence of the efficiencies that makes these new technologies so impactful. But it requires a broad-based body of knowledge for analysis, which in turn depends on having broad-based industry relationships to garner such information. AAR, as one of the world's largest, independent MRO and logistics providers, enjoys the advantage of both due to a broad customer base, as well as extensive parts inventory database and warehouse pools to support the many types of aircraft we service. This affords us more data from that larger fleet to support the analytics and logistical planning that lead to high availability responsiveness. Thanks to the nature of our business, AAR is particularly well-positioned to be a leader in this digital transformation due to a long history in maintenance and support across airlines and aircraft types through third-party repair management programs. But big data is not enough. 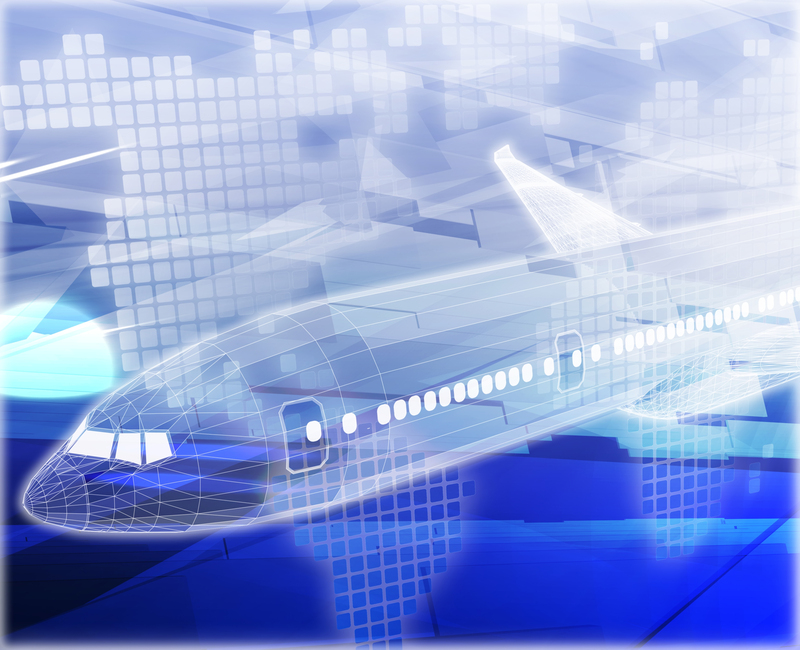 Aviation must adopt new technologies, such as apps and web-based platforms, for B2C functionality that B2B now expects. This includes simple and effective search, shopping cart buying and online tracking. AAR is launching apps, for example, that allow customers to check part order status, access documents for customs and even approve repairs via portable devices anywhere around the world, anytime, handily eliminating the delays and uncertainty. For all businesses, the key benefit of the evolving "digital supply chain" is its ability to increase visibility and collaboration among all of the global supply chain partners, including manufacturers, suppliers, distributors, logistics providers, repair facilities, asset owners, operators and technicians. From retailers who are quickly creating immersive multichannel marketing experiences to manufacturers who are retooling their plants to embrace automation, implementing digital supply chains to cut costs, improve inventory management and increase speed to market are critical to a company's success. For the aviation industry in particular, a flight path to tomorrow's digital supply chain is imperative. The impact of information and communication technologies on supply chain management will transform the very nature of the industry through increased cost savings, improved inventory management, reduced AOG and enhanced aircraft safety. More importantly, it allows us to provide better and safer service to our airline customers, allowing them to take their passengers where, and when, they want to go. And that means everyone wins.